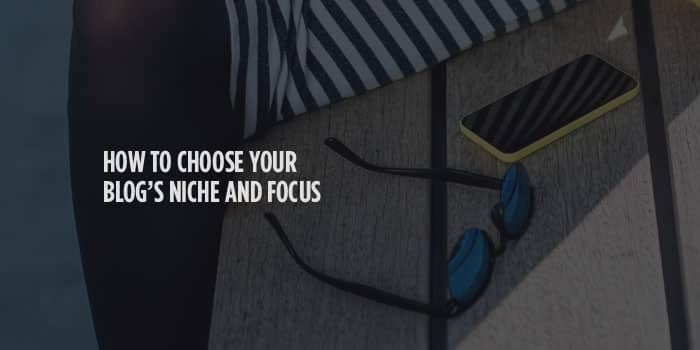 Choosing your blog’s niche and focus is one of the easiest ways to grow your audience and sometimes the hardest thing to figure out. If it’s super early in your blog-as-a-biz journey, you may be struggling with this right now. I know I did! I felt incredibly flustered and my mind was spinning with all of my interests and big ideas for my blog. I’d spend hours on Google hunting for an answer to point me in the right direction. Expert #1 would say to look at the money first and Expert #2 would say to blog about something I loved. I had a huge list with “Pros” and “Cons” for each of my ideas. I even walked away from my ideas thinking that would bring me clarity, but alas, I was stumped! I finally picked one (or two, actually – fashion design and music production). And after about 10-15 posts on each, I was completely out of ideas! I thought How could that be? My two biggest passions and I’m fresh out of ideas already!?!! It made me realize that some of the ideas I had for my blog weren’t blog niche ideas at all, they were ideas I had about myself. Ideas about the person I thought I was supposed to be. Ideas about what I was supposed to excel at. And secretly I was hunting for a winner…some jackpot idea that would guarantee success (I drove myself crazy tracking monthly search volumes and competition for my ideas). If I could pick a “winner”, then I would be a winner too. It wasn’t until I let go of those ideas that I was able to discover my true passion and blog’s niche. I’m sharing this because I think we all have internal voices we battle around shining our light for the world to see. It’s a scary thing to do, I know. In this post, let me hold your hand and share some tips to help you discover what truly inspires you in life (and in business) and to celebrate your blog’s niche. I’ve also created a Blog Niche Workbook which I’m hoping will help you find the sweet spot for your blog too.Click the image below to download it. This should be a no-brainer, right? You have to really love what you’re writing about in order to keep doing it after six months or a year. You should wake up dreaming about it, spend every minute thinking about it, and have at least five post ideas you can’t wait to write. When you have this kind of energy on your topic, it’s a win-win! You will love writing your posts, and the readers you most want to connect with will pick up on your enthusiasm and love seeing your posts. Writing about something that interests you will also make you write longer content, which tends to rank higher and get more social shares than short posts. What do I wake up dreaming about? What do I most think about during the day? What are my innate talents or skills? Which areas would I like to grow? What ideas make me feel like I can really be myself and express myself? What topics can I think of a least 10 post ideas for right now? Even when you’re just starting out, dream out loud and dream big. Think of your blog as a business right from day one. Every business, including your blog, is on a hunt for the sweet spot – where what you love to do intersects perfectly with your ability to earn a great income from it. To find that sweet spot, I recommend starting with the place where you belong. Don’t start by choosing a topic solely for the money-making potential. The thing that encourages you to be all of yourself is where you’re really going to express yourself and grow. Monetizing your blog is important, just know that it’s not your starting point. That will evolve as you grow your blog and start seeing some traffic. 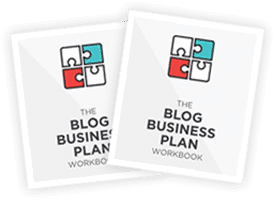 To make it extra easy for you to approach your blog as a biz, I’ve created a Blog Business Plan Workbook to help you create a bangin’ success road map. Just click the button below to grab it. You owe it to yourself (and to your readers) to pick one topic as your primary focus. 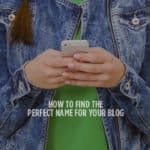 You can always find ways to connect some of your topics and weave them into your blog. For my fashion design blog example above, I could have easily included graphic design and music as sub-topics: there’s textile design, fashion branding, songs from the runways, the whole music-fashion connection. You get the gist. First and foremost though, your readers need to know where to place you. You should always be thinking to occupy just one space in people’s minds because that’s all they have room for. Can you write about it every day? This question is the one that most helped me focus. By now you should have narrowed your blog niche ideas down to one or two topics, maybe even three. Picture yourself writing about each one for the next six months or a year. Can you see yourself doing it? Do you enjoy it enough to keep coming up with new posts? Your topic has to be broad enough and you have to love it enough to write about it for a long, long time. If you can’t, friend, it’s time to cross it off your list. Now you’re down to just one or two ideas. It’s time to run them through the “target audience” filter. Your blog should solve a specific problem for a specific reader and clearly communicate how and who you help. When you write about too many different blog topics, you’ll start to feel a bit all over the place and kind of fuzzy about who you’re speaking to. Next thing that happens is the readers you most want to connect with start feeling fuzzy about your brand too. They simply won’t get that you’re writing for them. Remember, real community is born when people connect with your brand so it’s up to you to help them make that connection. How can you inspire or help your readers? What can you teach them? 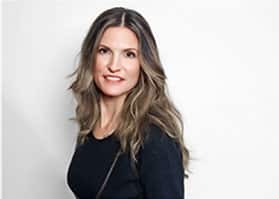 For a deep dive on how to identify your ideal customer and create a killer value proposition, check out this post and this post. I wasted soooo much time thinking about monetization when I first started. Now I realize that it was my own fear and lack of confidence with blogging that made me obsess so much about it. Don’t stress the money just yet. There are many ways to make money from your blog – freelancing, coaching, selling courses, books, affiliate programs. The money will come over time. Don’t worry, you got this! Having said that, you may want to do a little research, even if all it does is get you thinking about it now. After all, every blogger needs to make money, right? Is there an eBook or mini-course that pops in your head right away? If so, your blog niche idea is probably right on target. What about competition, do you have any? Can you find products that you can promote on your website or even something you can personally sell? Can you create a course around this topic and truly provide value to your audience? 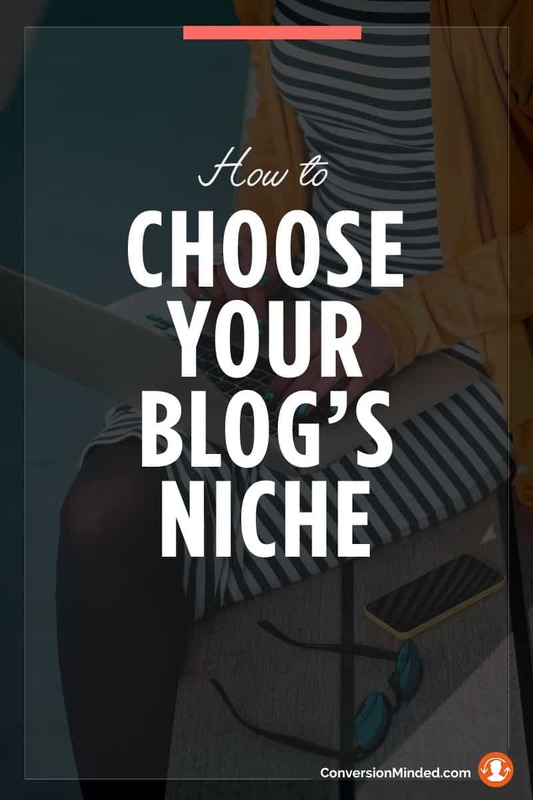 Choosing your blog focus and niche can really get your head spinning, but it doesn’t have to! Think about the intersection where the posts you love to write are meaningful and useful to your one specific audience. This will give you confidence that you’re writing both for yourself and your readers, plus give you clarity on what topics to cover in your future posts. What is your blog’s niche? Have you narrowed it down yet? Let’s hear it! Great information. Lucky me I came across your website by chance (Bizsugar). I’ve bookmarked it for later!